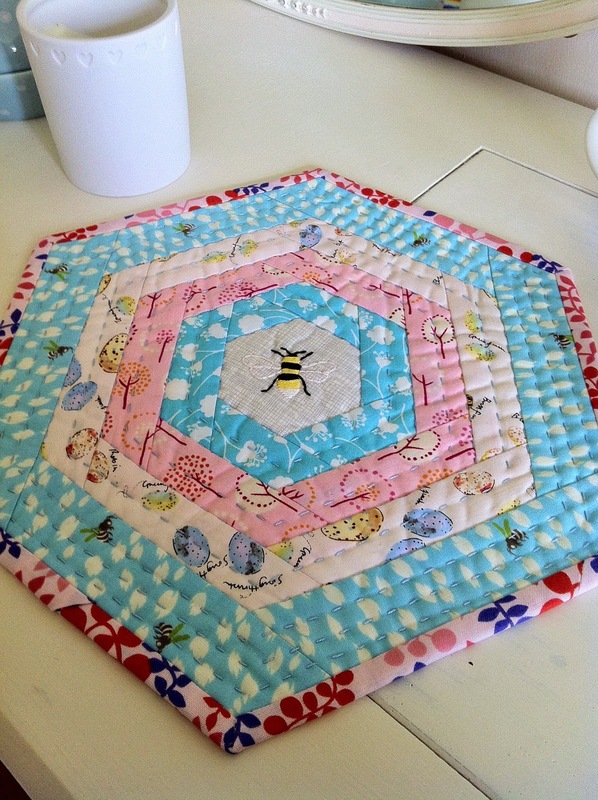 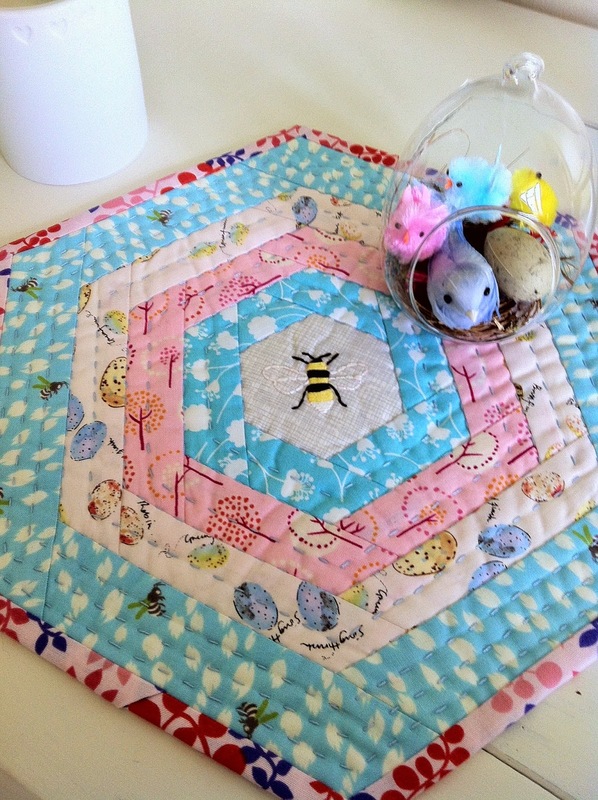 The mini quilts have been posted and received, I can't believe how lucky I am, Rachel of Contented has sent me the most beautiful mini quilt, just look at the darling little bee, I absolutely love it. 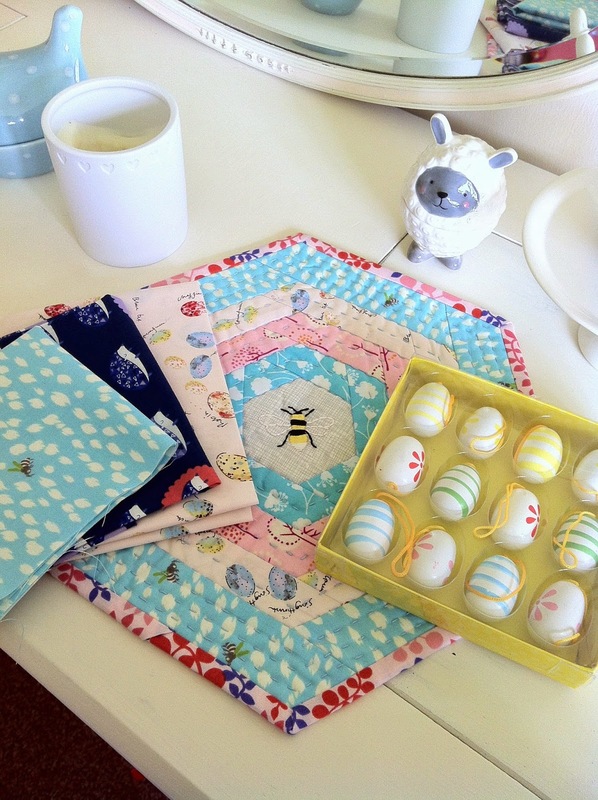 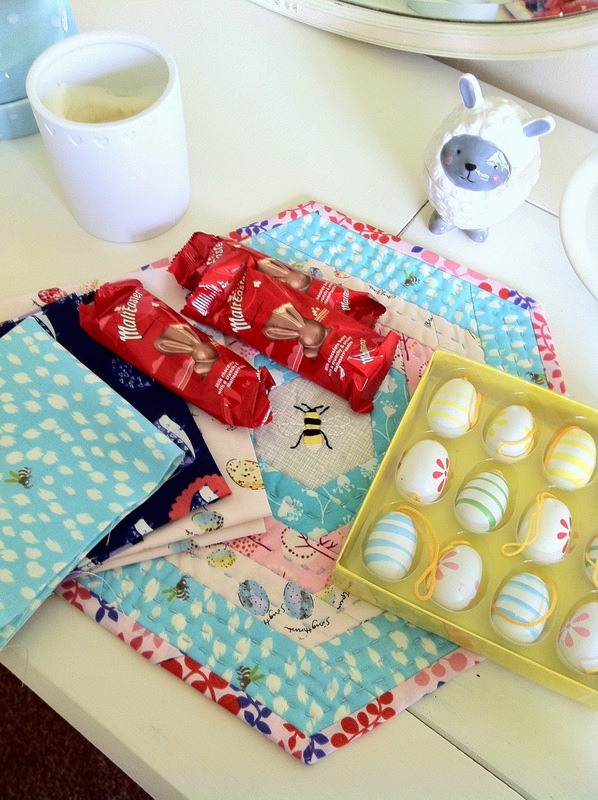 Rachel also sent me some lovely fabric, some little wooden eggs and some chocolate bunnies yum. 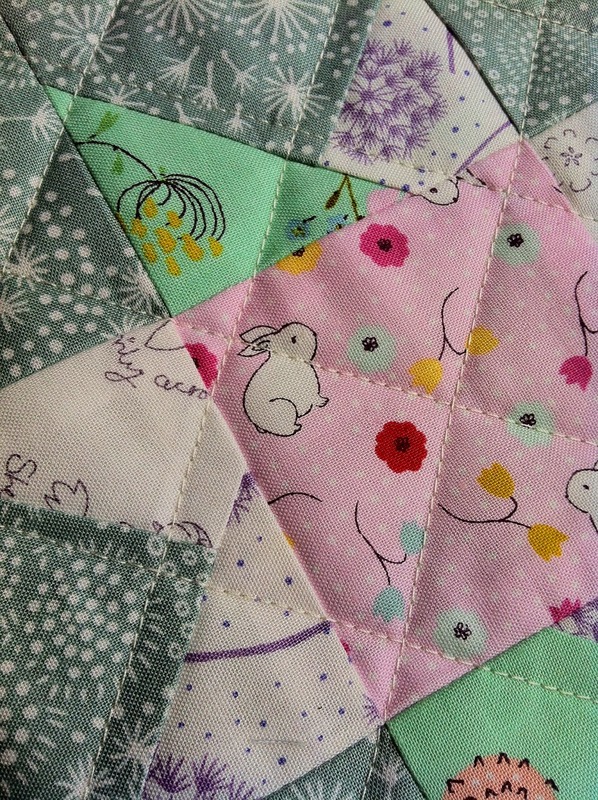 This also means I can show the little quilt that I sent to Rachel, as I am obsessed with stars it had to be a star quilt and I managed to get some bunnies in there too. 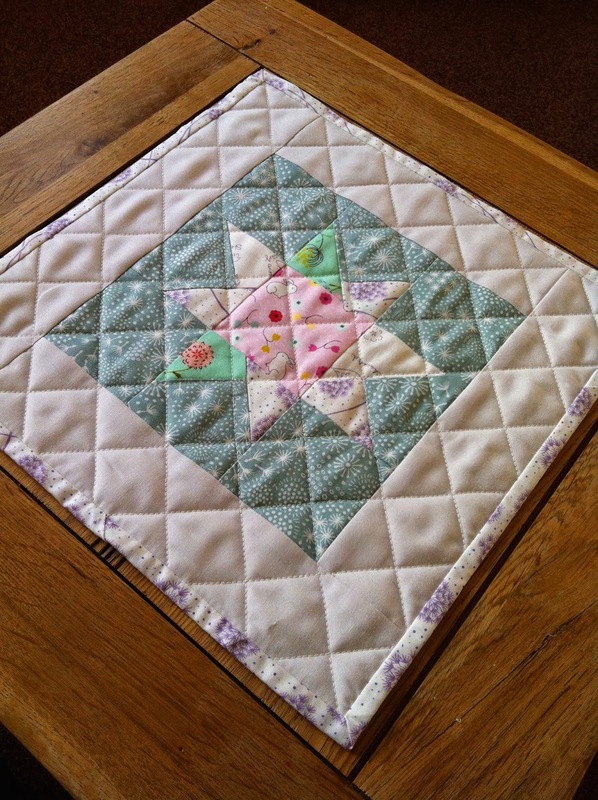 It's been so much fun to do a mini swap, Thanks Rachel for swapping with me. 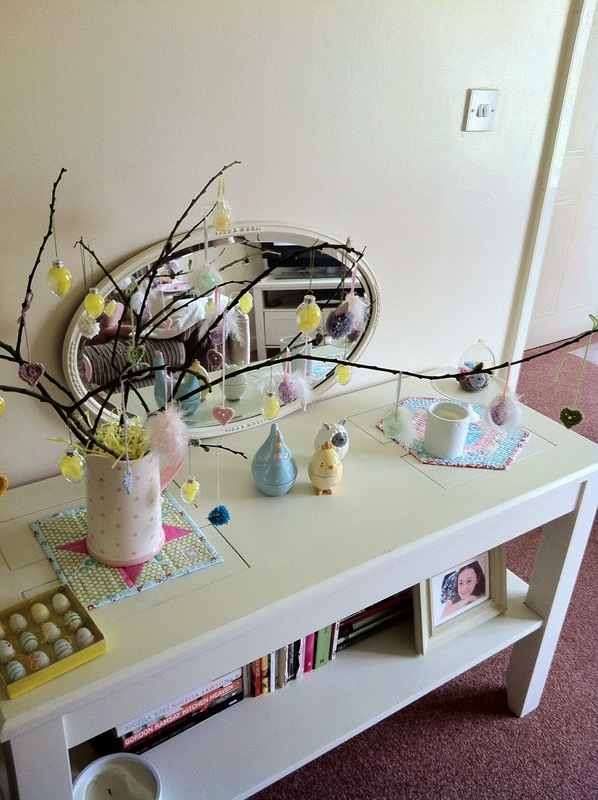 I hope to be back before easter, cutting it fine I know! 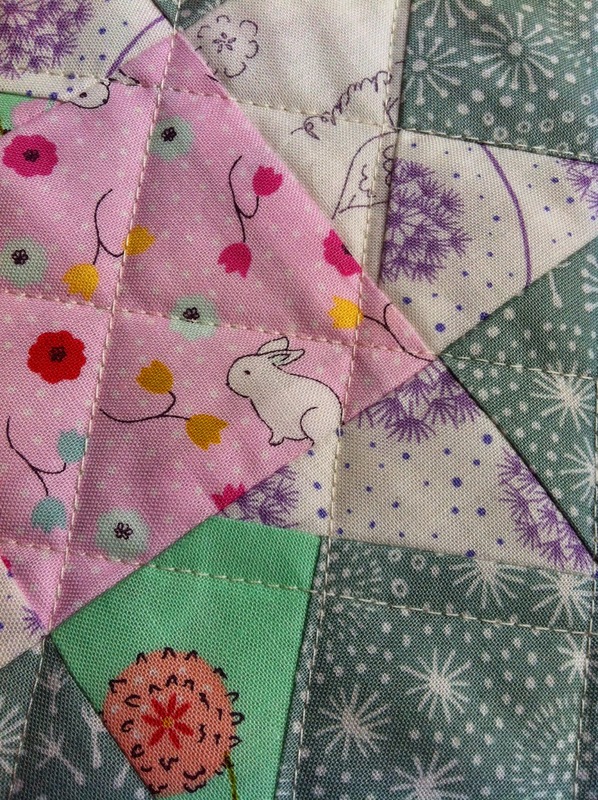 But I have a little bunny brooch I want to share. 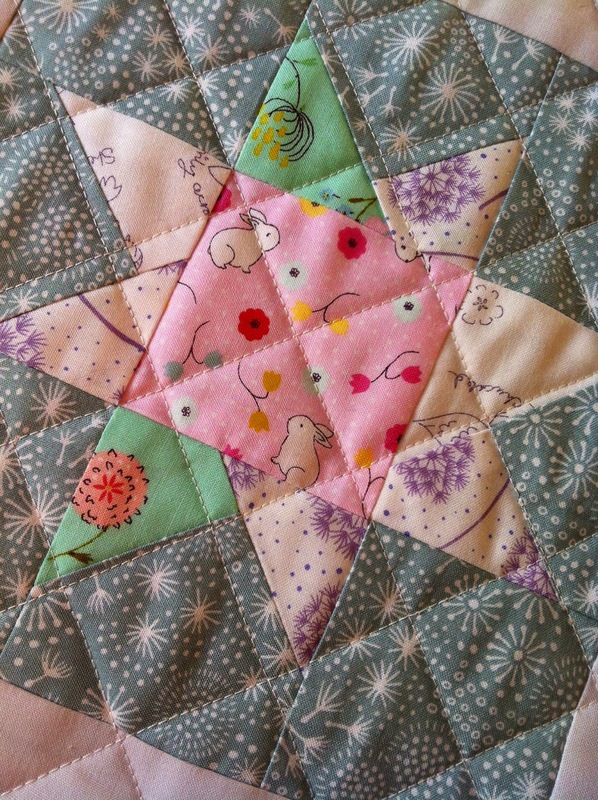 After the rush of Christmas I found myself in a bit of a sewing rut...I wanted to stitch but didn't know what so I made a few minis and remembered what fun it is to make something small that you don't have to worry about too much. 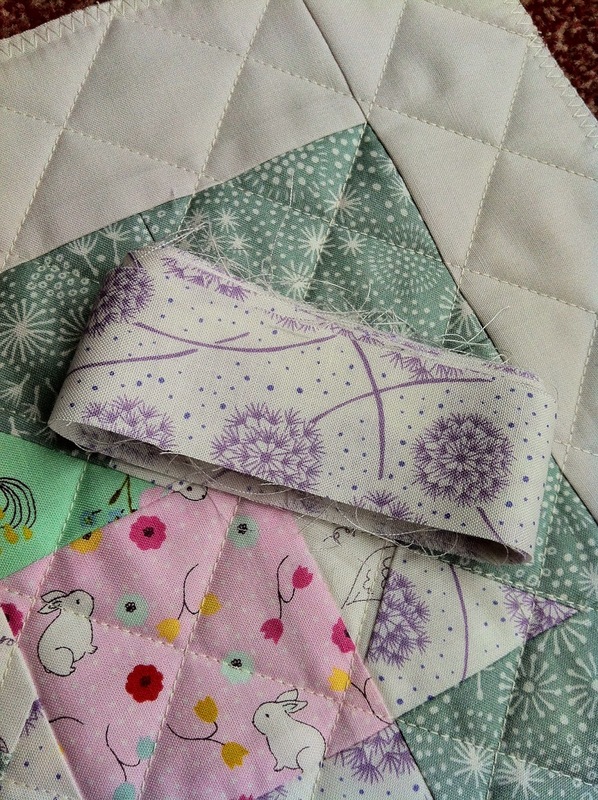 So here is my final set of sneak peeks for Rachel. 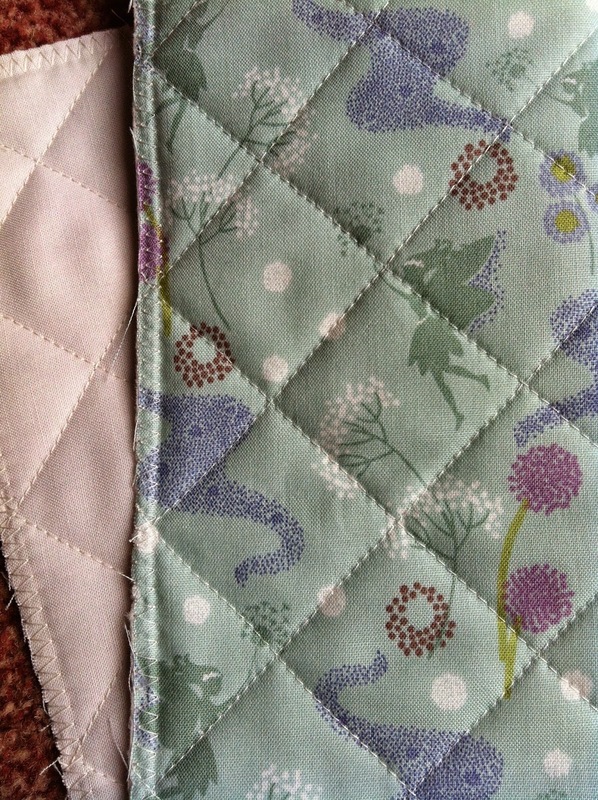 The binding is going on at the weekend and then it will be ready for posting just in time for Easter.